On Monday, August 25, we have a New Moon in Virgo, the mutable, rational earth sign. 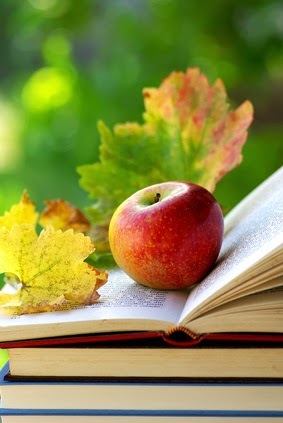 It’s no surprise that Virgo season is typically “Back to School” time around the world. Kids of all ages return to their education, whether in an actual classroom or by gearing up for a new work cycle after the Labor Day holidays. Ruled by information-savvy, rational Mercury, Virgo energy brings us into alignment with the practical, discerning mind. 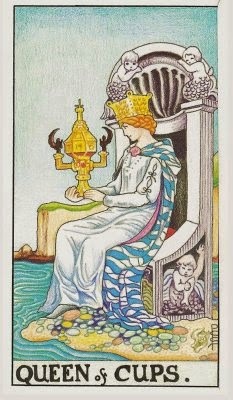 Unlike connection-making air sign Gemini, who is also Mercury-ruled, earthy Virgo carefully filters input, deriving the most pertinent points. Virgo then rolls up its sleeves and takes the organized data into the world to get down to business in a useful, formative manner. And that’s what we’re asked to do now: look at the details of our lives, and get down to business. Where are we being called to be of service in a hands-on fashion? Where do we need to go back to work, or back to school as the case may be? Where and how do we need to get organized? 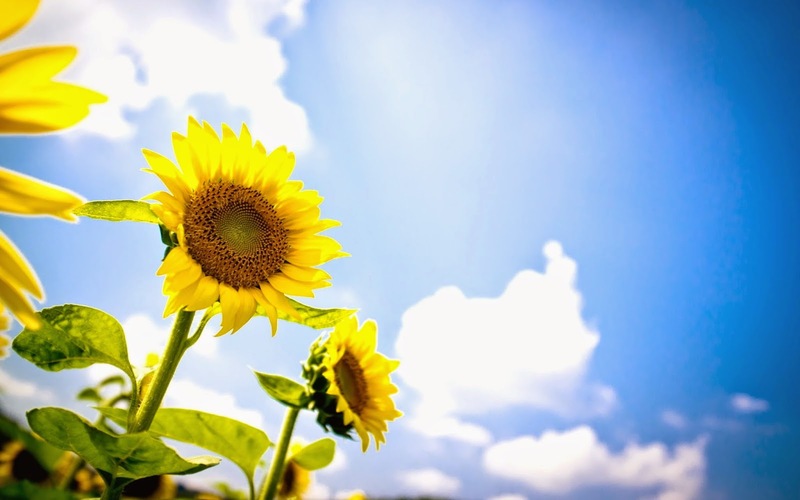 We can establish good foundations and systems in our lives right now, preparing for the Harvest Moon in two weeks, in dreamy, boundless Pisces. Only when we have sound structures in our lives can we then trust the flow. With effective and tested systems, we will be able to make good use of the imagination and expansiveness sure to come during the September 8th Full Moon in Pisces. So get your calendaring up to date, your software installed, your proposals outlined, your tool shed de-cluttered, your kitchen cupboards organized. You’re going to want to do it by the first week of September, making best use of the helping-hand New Moon in Virgo. We have an important planetary aspect occurring right now that corroborates this New Moon energy: Saturn, the karmic cop, is exactly conjunct (aligned with) Mars, the action-instigator, in Scorpio. These two have their differences, to be sure, but with a lot of awareness and disciplined action, one can move big mountains utilizing their combined energies. Saturn requires us to work within the world, the maya of life. He asks for structure, organization, long-term goals and gives us the capacity to do hard work. He wants us to make the most of our relatively short life on this planet and add meaning to the mix – to leave our legacy. Mars, on the other hand, offers drive, free will, and power to get things done. You can see where their union can be a great match! The push-pull danger, however, can come from frustration when our impulsive, spontaneous Mars natures and passions are slowed down by curmudgeonly Saturn. If you’re getting flack in your feedback, slow down and breathe. Check to be sure you’re not exhibiting impatience due to lack of trust in the process. 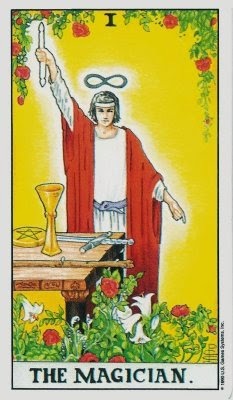 Ask Sir Saturn what you need to implement or change in order to evolve and capitalize upon red planet Mars’ power. Once you get that key data point in place, your world will hum along much more smoothly. 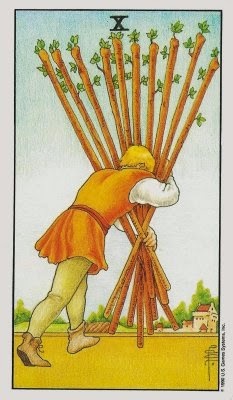 In sum, at this time of New Moon in Virgo, remember: long-term planning and projects are favored, along with attention to detail, tempered and effective action, and patience. Hard work will be asked of you, but there is a guaranteed payout at the end of the road. You can achieve anything right now, so long as you apply the Virgo discriminating mind to it! Have fortitude and confidence that your ambition and dedication will enable to you to successfully launch a completely new chapter in your life, leaving a legacy that is uniquely yours. I can’t tell ya who to sock it to. 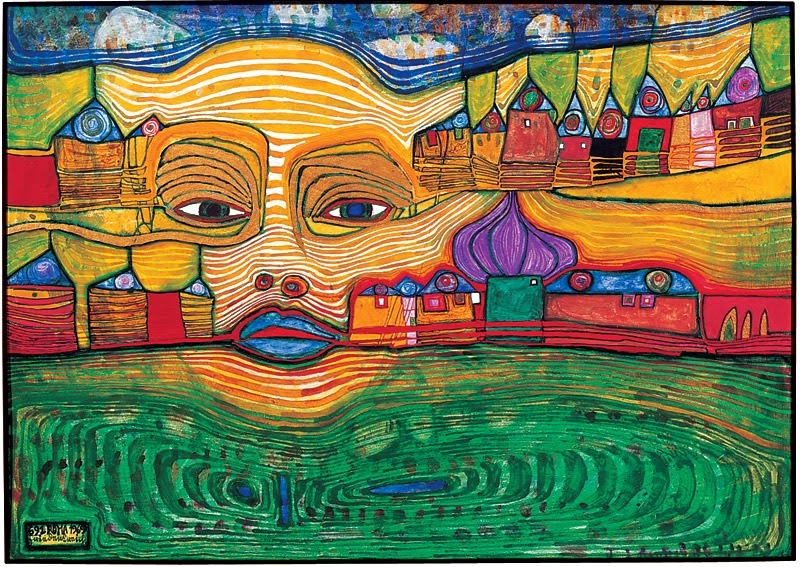 Today, August 10, we have a Full Moon in the freedom-lovin’ air sign of Aquarius, the Water Bearer. During this time of loonier lunar energy, we are meant to reflect on our own quirks and individual brand of liberty. If there’s anything the sign of Aquarius is hooked on, it’s personal freedom! With the Water Bearer, anything goes – and yep, I mean you can do anything and it's fine with them, as long as it does not impinge upon their ability to do whatever they want, too! Aquarius energy is truthful, independent, ahead of its time, and may not make sense to everyone else. 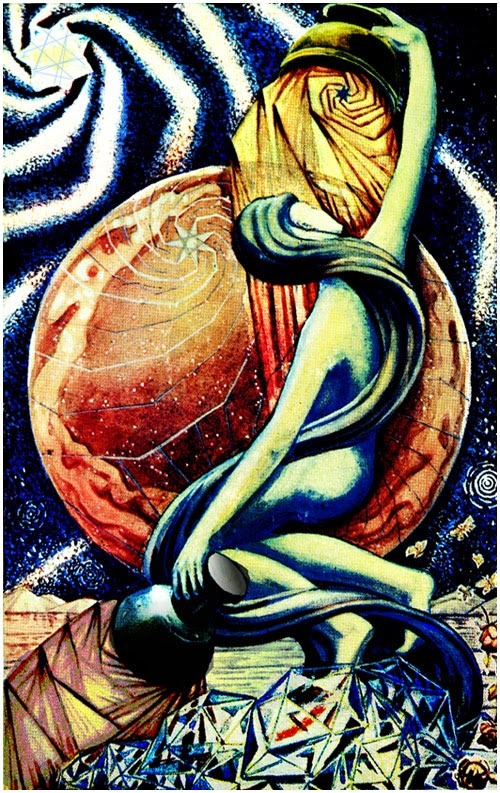 Aquarius marches to her own drum, dances to her own didgeridoo. She is a fixed, committed sign, and playing by her own rules, she gets the job done! 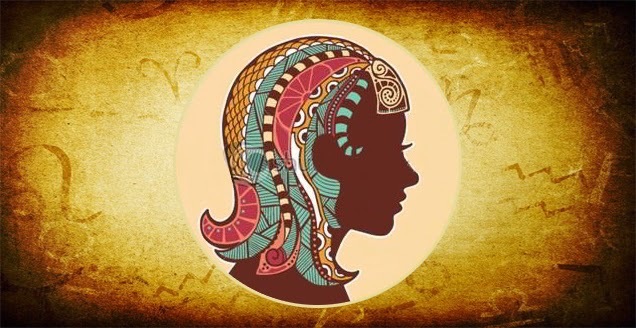 If your Aquarius (Sun, Rising, Moon) or Uranian-influenced friend, lover, boss or employee tells you that he or she is going to do something, you can be 99% sure it’s going to happen. Finishing is one of the Water Bearer’s greatest attributes. It’s an integrity thing. We all carry Aquarius in our birth charts somewhere. It is the visionary voice within that encourages us to be offbeat and be firm in our convictions. It's our special niche of life, where we must do things differently than the rest of the herd. If we remember that we are all part Aquarius, we can be a whole lot more tolerant of other people’s idiosyncrasies. They’re not trying to be annoying; they’re just being themselves. Aquarius flouts any rule that does not make good sense to them, on that particular day. 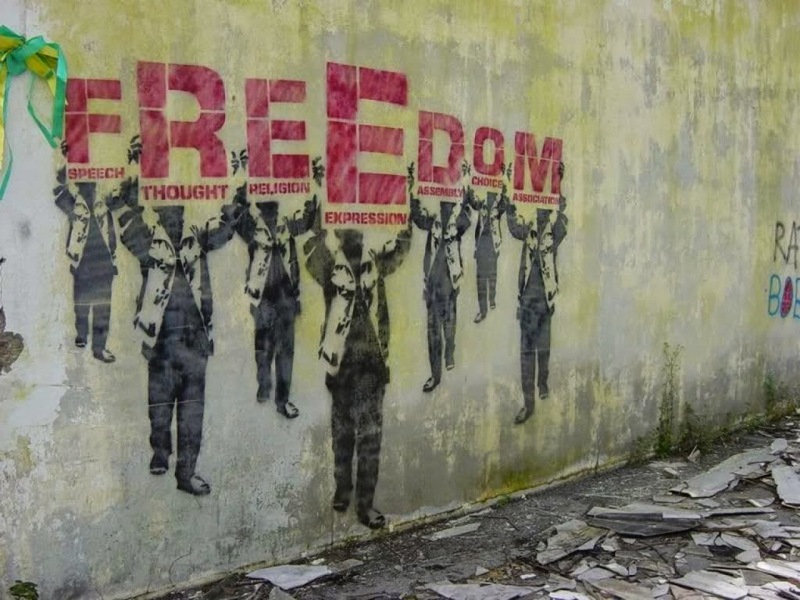 It doesn’t matter if something is considered right or wrong according to contemporary society. It has to abide by a higher law, an ideal that Aquarius sees will truly benefit the world and the self, at that moment in time. Otherwise, forget it. I should know: I’m an Aquarius, and so is my partner. Neither of us will budge a millimeter to move on something unless it makes sense to us, to our ideals. We ain’t moving, baby, unless the principal is sound. If that checks out, well, then, you’ve got a committed teammate, no question! In preparation for today’s article, I revisited a tome of the great astrologer Linda Goodman, one of my inspirations. 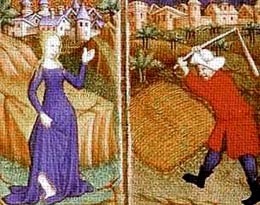 In Love Signs, Linda reminds me that Aquarius is not trying to be cruel or obstinate when they don’t compromise with the world’s needs or requests. Not at all. It’s just that Aquarius, quite simply, cannot do that which he or she is not designed to do. It is the quintessential sign of independence, through and through. 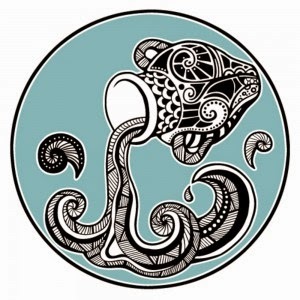 Aquarius lives on hunches and Uranian intuition. 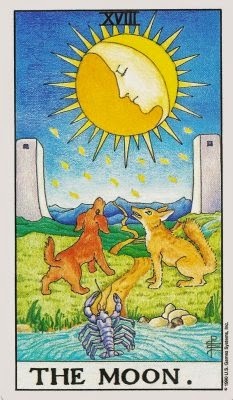 At this time of the Full Moon, trust that people are answering a higher calling, a pull toward the Future. If I say I must do something that seems particularly strange, trust that I am following a knowing in my soul. I have vision. I have integrity. I have commitment. I am an Aquarius, after all, and when I give you my word, it’s sprinkled with stardust and solid as a space rock. 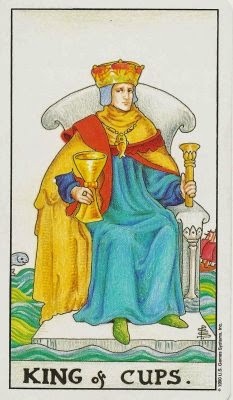 I’m pleased to present your Astro-Tarot sign-by-sign forecasts for the month of August! Got a love, romance, relationship question? Check out the special love reading offer below! Now, let’s look at the Forecast for August! For best results, as always, be sure to read for your Sun, Moon and Rising Sign! Some spiritual teachings say that Life is one big series of transitions, and living and experiencing are all "in-between times." Living occurs between a series of births and deaths, and it’s a constant change from one state to another. 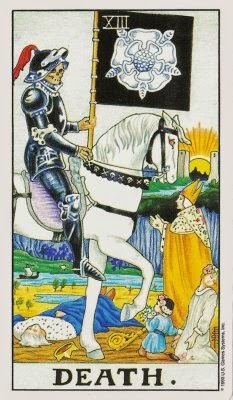 That is the meaning of the Death card for you this month, dear Aries. Death is by no means a permanent state of affairs or a complete ending. It is time for you to let go of that which you’ve outgrown, and that which no longer serves you in this life, whether a person, a job, a home, or way of life. Don’t resist the transitions this August, Ram! 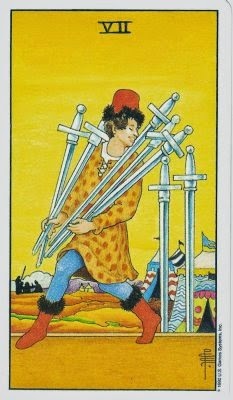 This card is a warning, dear Taurus, that you’re at risk for bottoming out due to over-committing, or overdoing it. Sometimes, the Bull is stubborn and finds it hard to let go of habits, people, or behaviors. This is “staying power,” and is one of your gifts, but also can be a hindrance. Make sure you’re not overstaying your welcome somewhere, or over-giving to a person, cause, or situation that’s lost its usefulness in your life. Be honest with yourself; it’s the best place to start. Gemini, you can be so busy-busy in waking life that you forget the importance of paying close attention during the Dream Time. This month, you’re being called to get ample sleep. Have a ‘lie-in,’ as the Brits call it, i.e. sleep in more often. Or, get to bed earlier, by 10pm if you can. You need a good dream cycle or two each night so the more hidden parts of your psyche can whisper their treasures to you. Keep a dream journal. 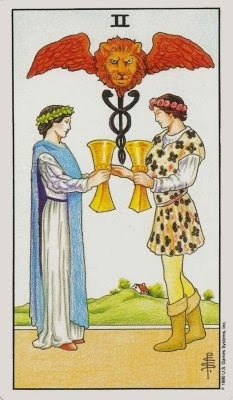 You got this same card last month, dear Cancer! The Universe continues to remind you that while you do need ample alone time in your Crab shell, at home, you may be missing out on opportunities being offered to you. See what the Life is bringing, and practice discernment. Maybe for every three times you say “no” to a social invite, you say “yes” to one very special offer – and savor it. Save your time, money, and energy for the quality time with the quality people you love, starting with YOU. 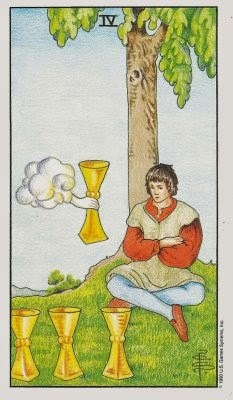 It is time for you to practice magic in your life again, Leo. We’re talking about the fine arts of manifestation. You have a dream, a vision, and the Universe has gifted you with all the elements and forces to make it a reality. Concentrate and focus, dear Lion. Don’t waste your special power and talents! Make it happen this month! It is your birthday season, after all. Wish, act, and make it all come true! August is a month for you to honor the Divine Feminine in your life, Virgo. No matter if you’re a man or a woman, yin qualities must be cultivated, such as receptivity, caring, tenderness, intuition and spiritual healing. This is the sweet month before your birthday in which you get to reflect gently on all that you’ve been gifted with over the past year. Take time to thank the Divine for all She has bestowed upon you, and in particular, thank Mother Earth for the bounty She’s shared with you. You are an earth sign, after all! What is the future of my relationship? What is blocking me from having romance in my life? All these questions and more can be answered in a psychic reading with Erin Reese, your intuitive consultant! 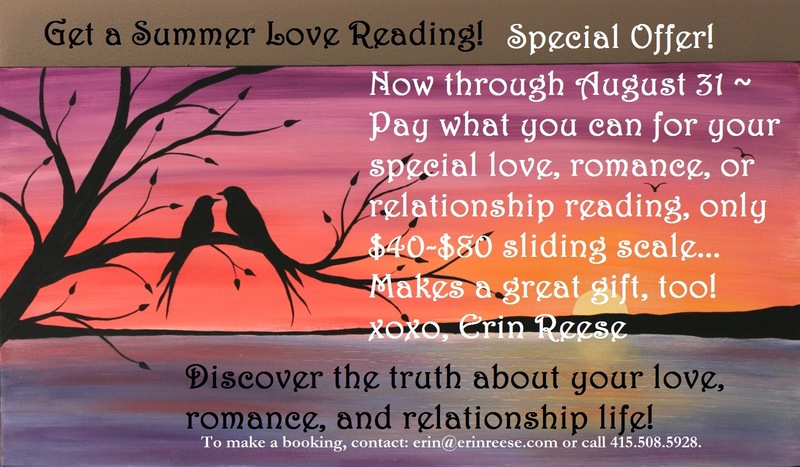 Now through August 31, pay what you can, $40 to $80, for a summer love reading! 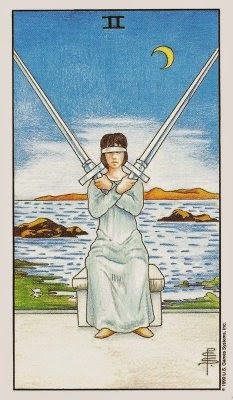 Libra, the sign of the Scales, values honesty and Justice. You have a special pet peeve when folks bend the truth or withhold information from you. It drives you nuts! You prefer everyone to be forthright and forthcoming, and elegant at the same time. Well, occasionally those humans act like silly humans and aren’t so aboveboard or nice. Instead of getting upset with them, Libra, try practicing trust in the Universe: they will learn their lessons in their own way. You don’t have to say a word to them, nor do you need to waste energy in frustration. Justice will be delivered in due time. Scorpio is the sign of depth and raw intimacy. When an attraction is there, it is the real thing – it’s full on, and very intense. Should you act on it this month? Whether we’re talking about a creative lead, a business opportunity or love affair, you won’t be able to resist temptation if you tried. The attraction is too strong. Meet the offer head-on, eye-to-eye, and trust that it is a connection favored by universal forces. Merge. Sag, you are a master at using “big mind,” and seeing the visionary big picture. You get the grand scheme of things intuitively; this is your strength. Yet, if you try to figure out the ‘what ifs’ and logical consequences of every possible outcome, it closes off your heart and third eye and you get stuck. 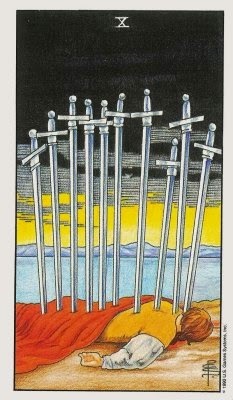 If your decision-making comes to a stalemate this month, see if you’re over-analyzing. Go back to trusting the process and knowing there is a plan. You may not know how it’s going to be implemented yet, but it’s going to move forward just fine. The Goat is known for perseverance and meeting responsibilities, yes. But do you know when to back off? Perhaps they’re someone else's responsibilities to meet, and your stepping in all the time prevents others from learning to fish for themselves. Remember the old saying, “Give a man a fish, he’ll eat for a day; teach a man to fish and he’ll eat forever.” You might be getting drained unnecessarily and depriving another person of the dignity of gaining self respect through accomplishing something. This August, carry out your own tasks, Cappy, and let others do their own part. Aquarius, you have a marked ability to detach emotionally from a person or situation. It gives you great objectivity and the ability to move forward, into the future without getting hung up. This August, however, you need to try to add an extra dose of warmth, caring, and concern to your detachment mode. Let others know their feelings are important, even if you don’t share them. Empathy is your keyword this month. Show it. Toward yourself, too! Sensitive Fish would rather swim to the bottom of the sea and hide in an underwater cove than confront another person with an uncomfortable topic. But this month, Pisces are asked to stand up for themselves. 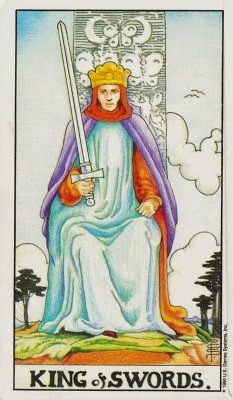 Wield a dispassionate sword of truth and speak your mind. Set boundaries and firmly hold true to them. If you don’t speak up for yourself, who will? You can do it! Erin Reese is a spiritual guide, astrologer, and psychic reader based in the San Francisco Bay Area. She works with clients all over the world. 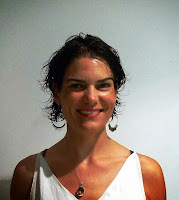 For readings and spiritual counseling by Skype, phone or email, contact her directly. 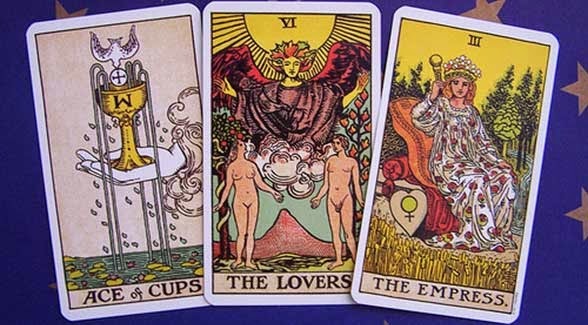 Consider giving your loved one an astrology or psychic tarot consultation. She can be reached at erin@erinreese.com.